Christina Ku is a venture capital professional investing in internet, AI, enterprise and cloud startups. She has evaluated, researched and assessed the viability of thousands of internet and mobile businesses and new ventures or Intel, Vodafone and institutional capital firms. 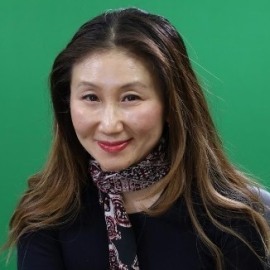 At her roles in investment research, corporate development and investment analysis, she has tracked public internet and mobile companies which provide her with a well-rounded perspective on emerging technologies (US, Europe), new markets, business models and financial diligence. She started her career as an investment banker at Hambrecht & Quist, invested in emerging mobile companies such as Mobileway (sold to Sybase for $400 million) for Intel Capital and created new market development for Intel's Consumer Electronics Group. At Triplepoint Capital, she led the debt financing for 50 companies, primarily in the social networking space such as Facebook and Slide (sold to Google for $182 million). She also started one of the first online beauty social ecommerce startup at the Shimmer Group Inc. Currently, she invests in US/Canadian startups for NTT DOCOMO's $100m fund and NTT Group's $250m fund. NTT DOCOMO Ventures is the gateway for the startup and venture community into the NTT Group. Christina received her MBA in Finance and Entrepreneurship from Chicago Booth and BA in Economics from the University of California at Berkeley.